If you miss these trends – You will regret it! Following Apple’e WWDC, Google has also rolled out a major update which is going to make our lives a whole lot easier. Here are this week’s mobile app updates! El Captain is an improved OS, redesigning the entire interface. The brand new iOS 9 is bringing refinements to the Notes App, changing Newsstand to News, renaming Passbook to Wallet and much more. Also, the Apple Watch is undergoing a massive update to make it more relevant to users. The Maps app is getting public transport information and iOS 9 is designed to take up lesser space and consume much lesser battery power, to get you 3 extra hours out of your iPhone. This is something which all users would love to hear from Apple. Well, the whole world is still surprised to hear this. 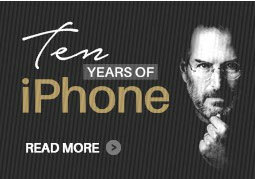 This would have never happened in Steve Jobs time but the times have changed. Business decisions are made based on revenue potential. Apple’s Music app is just a streaming service just like Spotify, and hosting it on Android is a genius idea and a huge revenue potential for Apple. Google does it all the time with various Google apps already present on the App store. Tim Cook has made a bold decision and we are quite sure that Android users are ecstatic to embrace an Apple hosted service, even though, they have to shell out $10 at the very least to get access to it, whereas Apple users get a free 2 month trial period. Facebook Messenger is on a roll, first the video call then the payment option and now getting into social games. We all love to Doodle, I remember spending hours on Yahoo Messenger doodling away. Facebook has adopted a similar game with enticing people with points! The more a user gets their friend involved in doodling, the more points they can earn. As long as users don’t spam their friend’s wall, it can be a fun thing game all can enjoy. Holus is a holographic unit the size of a microwave. It has an amazing ability to pull out your media from smart device and display it as a 3 dimensional holographic image. Currently, it’s only in the prototype stage and if /when it reaches the market, they have the idea of releasing it as two separate products – Pro and Home. Pro version comes with a SDK where developers can use it to support game engine and the Home version is slightly smaller for consumer uses. A lot of users will love the idea of holographic games – I surely can’t wait to get my hands on them. Google sent out an update few weeks back to both iOS and Android users using Google searches. It was only during the SMX Paris search marketing event, they officially made the announcement and demonstrated its features. Apparently, these location based searched only requires you to ask the question “Which lake am I looking at?” and Google pulls out the answer for you. There is no longer any need to find the name of the place to Google it; this new update does all the hard work for you. It is amazing what Google will bring out next. 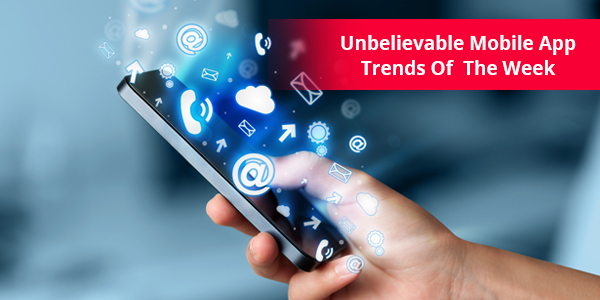 Find more fascinating trends next week. Such inspiring discoveries induce amazing creativity – Want to make a revolutionary app? Give our Atlanta app developers a call now!